From 30 Unique Tumblr Profiles ! . 3) Increase social visibility in Major Search Engines , which will help get you on the radar of customers, users and potential partners. 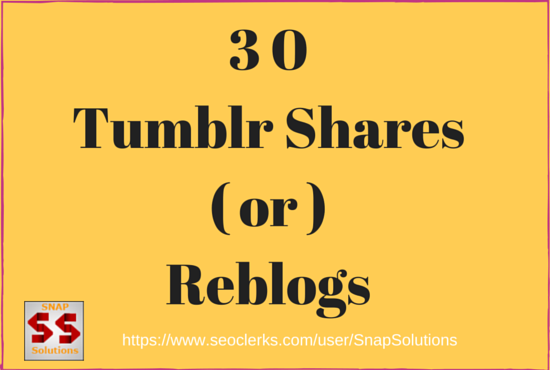 Get You 30 Tumblr Shares or Reblogs For Your Url is ranked 5 out of 5. Based on 76 user reviews.